Happy Thanksgiving! In case you (like me) always find yourself surprised that this holiday has actually arrived, here is a stupidly simple recipe that can be made in 30 minutes or less. 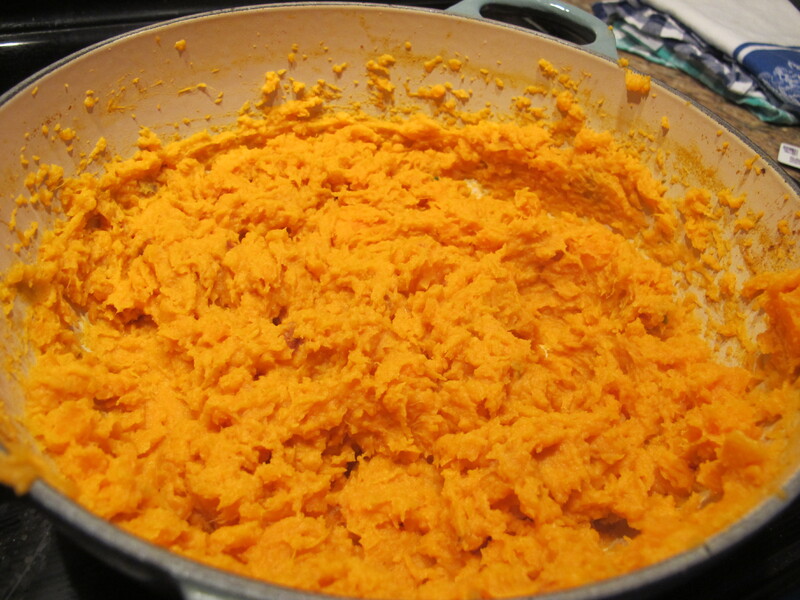 As long as you have sweet potatoes, you already have the other ingredients in your house. Enjoy it, and make sure to save a plate for the empty seats this holiday season. Peel the sweet potatoes and cut them into chunks of about the same size. Put the chunks in a big pot of water, boil the water, then turn the water down to high but not boiling. It shouldn’t take more than 8-10 minutes for the potatoes to be fork tender. Once they are, drain the potatoes and return to the pot. Add 1/2 cup of the milk and all of the butter, mix with a hand mixer or a masher (I prefer a hand mixer with the beaters) – I like it pretty smooth with a few chunks, which just takes 20 second or so of mixing. Add salt and cinnamon, mix just to combine, taste. If you want a thinner consistency, add the rest of the milk. Add more salt and cinnamon to your taste. Voila!